Black River Middle School is a School to Watch! Chester Science Fair a Resounding Success! 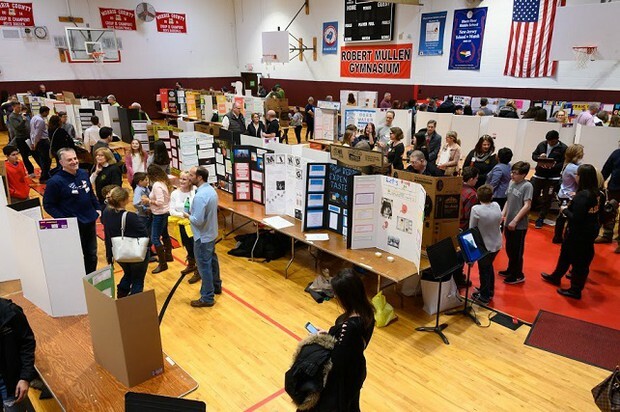 Despite an overnight snowstorm that resulted in a delayed opening, the 39th annual Chester Science Fair was held at BRMS on Saturday, March 2. Almost 400 students presented their experiments to judges, family members, and the community. Participants and visitors also enjoyed a variety of interactive and informative exhibits including presentations on birds of prey, reptiles, gummy food science, and the Chester Police Department's bomb squad robot. A tremendous time was had by all! Thanks to the many volunteers who helped to make the event a resounding success, and be sure to plan on next year's 40th anniversary Science Fair showcase! 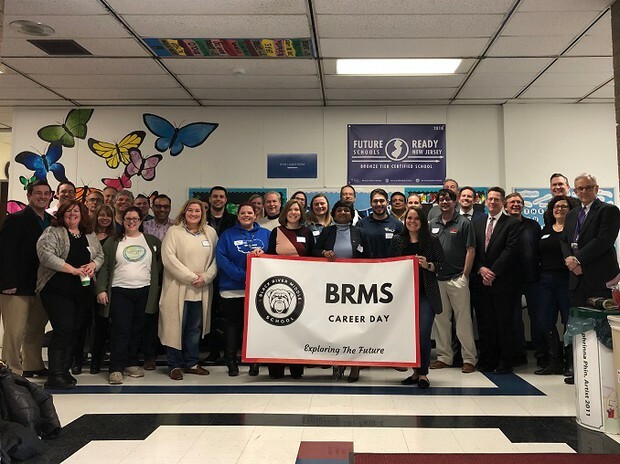 The annual BRMS Career Day on Friday, March 8, featured over 30 presenters who volunteered their time to teach our students about future opportunities. The speakers represented a variety of careers including medicine, art, engineering, space, music, veterinary science, teaching, law enforcement, television and radio production, and many others. Students gained insight about how the path to success is a journey full of self discovery. Our sincerest gratitude to all who made Career Day a wonderful experience for everyone at BRMS! BRMS Production of Beauty and the Beast is a Hit! 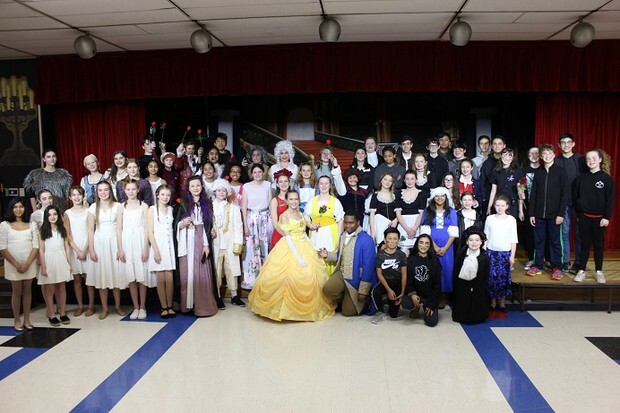 The Drama Club's production of Disney's Beauty and the Beast was a show stopper! The cast, crew, and faculty advisors delivered four solid performances beginning on March 14 and wrapping up with a final curtain call on Saturday evening, March 16. A large production such as this would not be successful without a cohesive ensemble of dedicated thespians and a talented group of hard working crew members. It was a shining moment for all involved and for all who came to watch. Special thanks to Mrs. Aiello, Mrs. Mazza, Mr. Pizzo, and Mrs. Vespignani for bringing out the talents of each and every member of the show. The second Tech Summit was celebrated on Digital Learning Day, Feb. 28, by bringing together five local middle schools to create, problem solve, and share their love of technology. 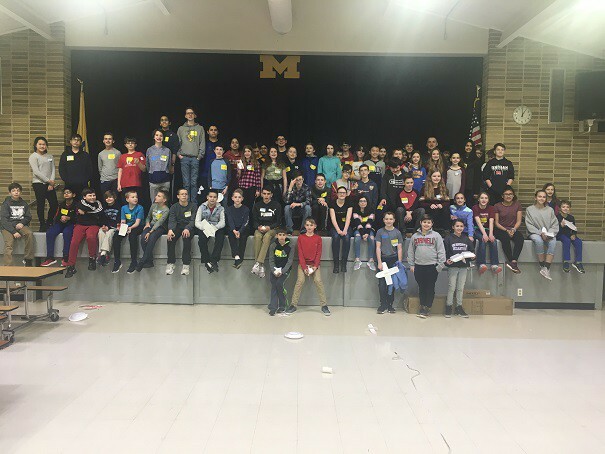 Chester students, along with their peers from Mendham Township, Mendham Borough, Long Valley, and Randolph, participated in activities to build relationships while trying to complete several challenges. The challenges included a Breakout Box challenge, an EV3 challenge, and a Plane Build challenge. The event culminated with time for students to share their creations. It was a great forum for exchanging ideas and working together! 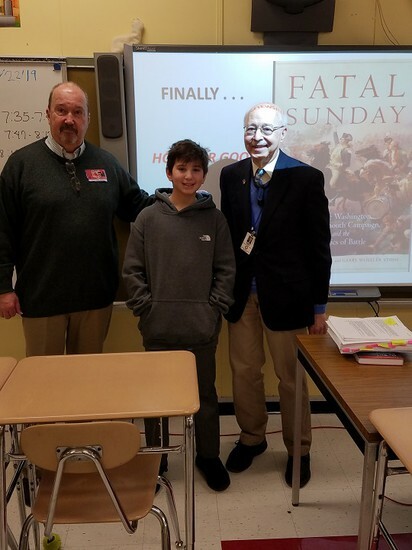 Author Mark Edward Lender recently spent the day with the students in Mr. Pizzo's and Mrs. Aiello's 7th grade ILA classes. Lender is the author of 11 books on the American Revolution. He spoke about his experiences both as an author and as a university administrator, and he emphasized to his audience the importance of doing thorough research and ensuring the accuracy of facts. Lender is the grandfather of 7th grade student Ryder Leckie. 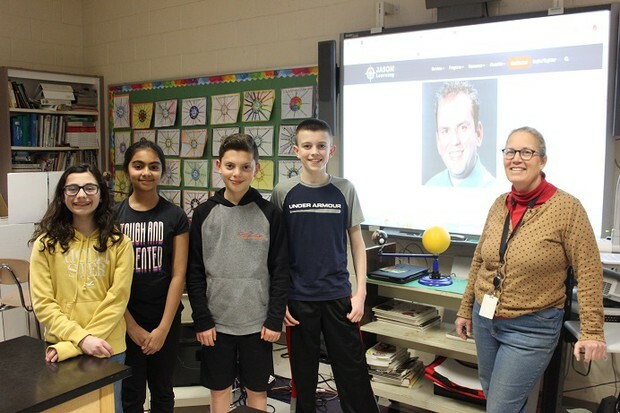 Students in Mrs. Gilbert's 6th grade science class recently participated in two live, online Q&A sessions with a prominent geologist and meteorologist. 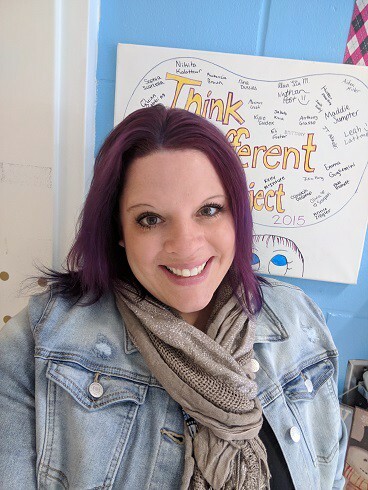 In the course of the 45-minute nationwide discussion, the featured scientists chose to answer a total of six questions submitted by BRMS students! The following sixth graders had their questions chosen and answered: Akshara Datla, Thad Lasusa, Steven Lomelo, Emily Moul, Arjun Rao, and Megan Turner. Congratulations to these curious young scientists who represented BRMS so well! 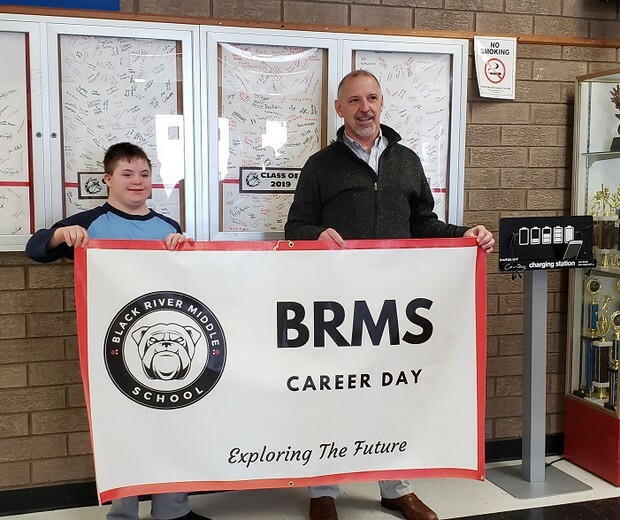 Thank you to Mr. Rich Mistkowski for donating the Career Day Banner! Career Day brings students together with the community to facilitate career planning in a formalized setting. Mr. Mistkowski's community spirit will be evident every time the banner is used in the coming years. Mr. Mistkowski's son, Matthew, is a BRMS student. Faculty Fun Facts at BRMS! 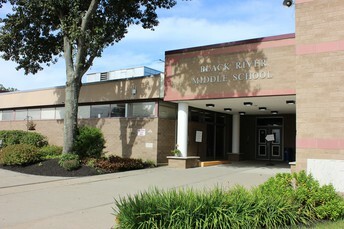 BRMS is a community. As such, this newsletter regularly features highlights about the people who make our school a special place. This time, please meet Resource Teachers Diane Basanese and Jennifer Yeager. Did you know? 1. Made a Google commercial that has over 17 million views. 2. 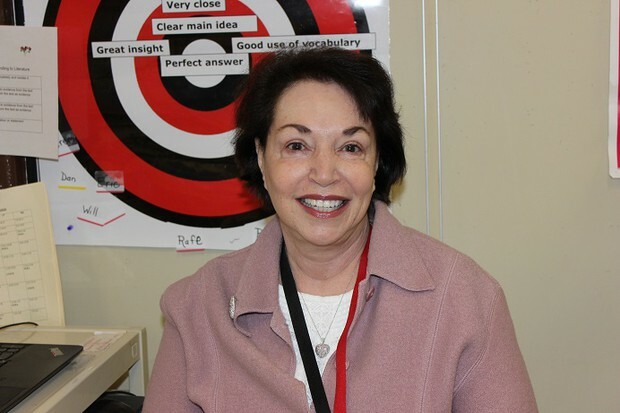 Has taught at BRMS for 24 years and was the first teacher in our school to provide in-class support. 3. Walks her dog Vito every day, rain or shine. 1. Taught English and American Culture for college students at Yong-In University in South Korea and at the Anglo Chinese College in Fuzhou, China. 2. Enjoys going on 3-4 cruises a year. 3. Loves to spin tunes as a DJ! April 5- 8th Grade Field Trip- Final Payment Due! April 10- 8th Grade Honor Society Induction 7 p.m.